It is an initial layer of paint that will serve as a foundation and help define subsequent layers of paint for your painting. Underpaintings are usually monochromatic which reflects light through the over-painting layers and gives a painting the luminosity. 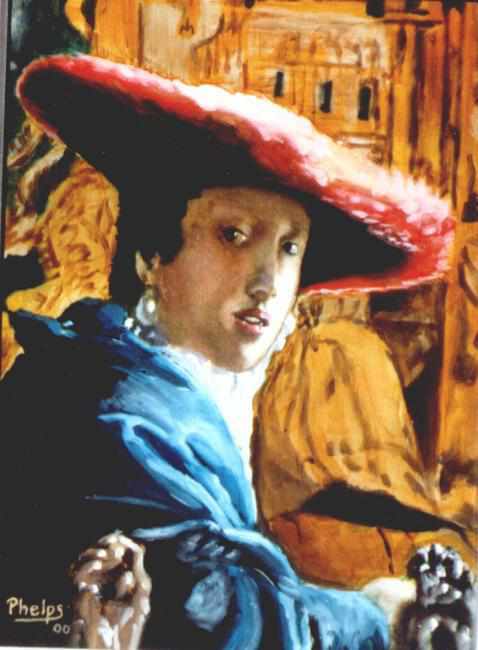 There are several different methods of underpainting were used by the old masters. Pronounced as “griz-eye” this is a method of underpainting with different gray paints. It is a method of underpainting with colors of olive or green gray paint in the light areas. It often resembles a moonlight effect. 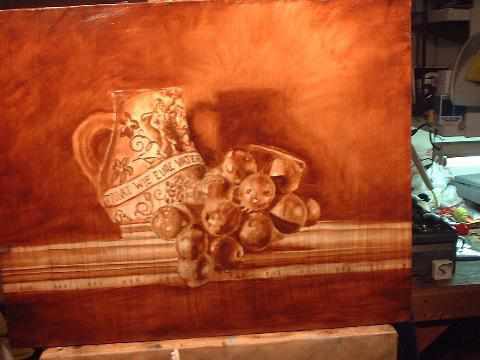 This underpainting method usually uses transparent layers of earth colors (ra umber or burnt umber). 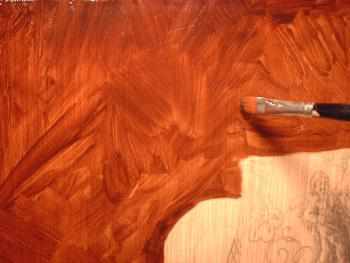 It is used as first stain to tone the canvas. A variation of the Imprimatura underpainting. The subject or composition can be drawn into a thin semi-transparent layer of raw umber or burnt umber. Rags, paper towels and paint brushes are used to lift out the paint exposing the lights to illuminate the subject. Glazes can change the hue and texture of a surface. Drying time will depend on the amount and type of paint medium used in the glaze. Different media can increase or decrease the rate at which oil paints dry. Oil paits usually takes longer to dry. If a paint is too opaque, painters will add special media or a lot of medium to the paint making them more transparent for the purposes of glazing. Glazing has the strongest impact on showing middle tones and dark colours. Here are some tips on how to glaze oil paintings. · Begin the oil painting as usual by sketching and putting visual resources as necessary, but do so as though the painting were going to be complete in one layer. · Once completely dry, after a week or so, begin the next layer of paint. The glazes will soften the colours and deepen the tones. Each “glaze” slightly modifies the colour of what has already been painted on the canvas. When you look at it the colours are automatically mixed optically giving a rich deep colour. · Putting a little linseed oil into the oil paint will create a translucent colour. Oil paint comes in transparent, semi-transparent, and opaque and you will learn which is which the longer you paint with oils. All paint colours can be used as glazes, even opaque paints, used as glaze to paint mist or fog. · Apply the oil paint glaze onto selected areas. A second layer of slightly darker colour will deepen the colour without changing it completely.